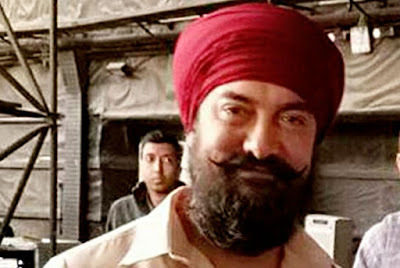 After film Dangal, Mr.Perfectionist Aamir Khan is again molding himself in different shape for his upcoming film Thugs Of Hindostan. The 51-year old actor is seen sporting a red turban with a heavy beard for his next film. This film is going to be an explosion in box office and Aamir will share the screen with none other than Amitabh Bachchan.